ALLENTOWN, Pennsylvania -- Mary Clancey said she was resigned to being a plump old lady. Over 15 years she kept getting bigger despite dieting. But with her health deteriorating, her son persuaded her to go to the hospital. What doctors found astounded them: A cyst in one of her ovaries had grown into a 140-pound tumor. Doctors at Lehigh Valley Health Network in Allentown removed the cancerous, Stage 1 mass in a five-hour operation Nov. 10. Going in, Clancey weighed 365 pounds. After five hours in surgery, she lost 180 pounds of tumor and tissue, about half her weight, the doctors said. "You can't imagine in your wildest dreams something that huge," she told Philadelphia TV station NBC10. 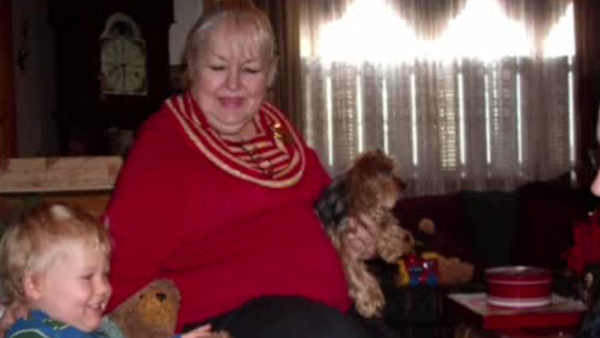 As she was gaining weight, Clancey, 71, of St. Clair, Pennsylvania, said doctors told her just to watch what she ate. At just over 5 feet tall, she said she felt destined to become "a short round, fat little old lady." The tumor didn't really cause her pain. "It just made itself comfortable in there," she said. But by the time she went to the hospital, it had become difficult for her to walk and even stand. Dr. Richard Boulay, who performed the operation, said the mass was so big it didn't even fit in the picture taken by a CT scan. "It was slowly killing her," Bouley said Thursday during a news conference at the hospital. To help in the removal of the tumor, a second table had to be moved next to the one on which Clancey was lying so the mass could be rolled out without it rupturing, The Morning Call reported. Made up predominantly of water, the tumor was "slippery and nasty," Boulay said. After nearly a month in recovery, Clancey is back home, working to regain her balance as a lighter woman. She weighs less than 150 pounds and said she feels great. Doctors said tests show she is cancer-free and does not need further treatment, The Call reported.